Should I Settle My Case? One of the most noteworthy aspects that takes any lawyer from adequate to effective is creativity. When you present us with the unique facts of your case, it's not only our job to generate a strategy but also to take that plan to the next level. Knowledge like ours gets you far. A lawyer like Charlie Hyland compliments that knowledge with full understanding of how to use the facts to convince judges and juries of what matters — thereby strengthening your case. Our decades of experience has only resulted in improved processes. You can count on us to find solutions. Over the years, we’ve built a reputation for getting real results with real experience. This quality is backed by our many client referrals. Word of mouth among our clients in the Kansas City Metro area have taken Hyland Law Firm above and beyond small business status and we couldn’t be more grateful. We want the same growth for you and your entrepreneurial endeavors. The community’s trust helps us give back to you, so you can grow your business or move on from the personal injury holding you back. However, you need to take the first step and contact us to begin. 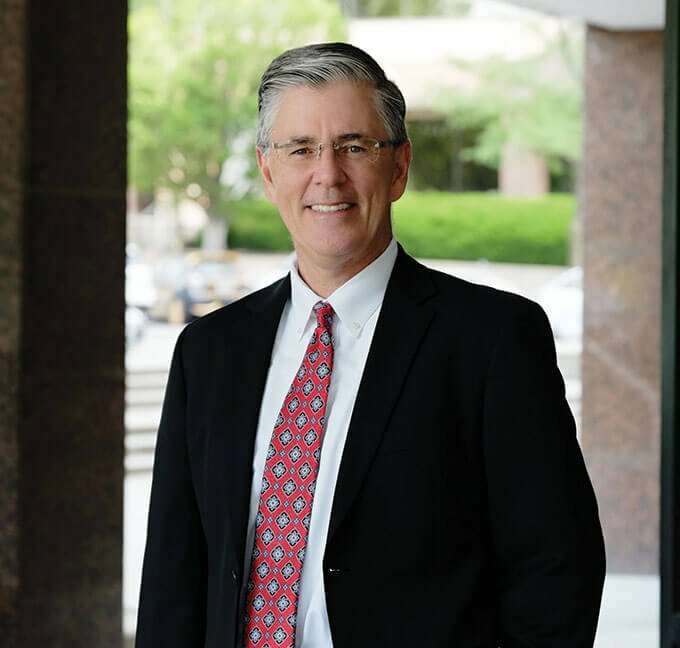 Charlie Hyland began his legal career working in the insurance defense field, guarding those companies against civil claims. It wasn’t long before he decided to defend people rather than companies. His experience has primed him well to tackle the ins and outs of how defendants approach cases. He knows which situations will mostly likely go to trial and he can prepare you well for any such outcome. Charlie also knows when clients will receive full or partial compensation for injuries and uses this knowledge to help the people of Kansas and Missouri when they fall prey to the negligence of businesses or otherwise careless individuals. 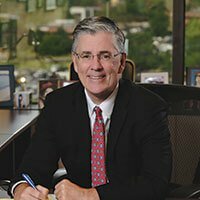 Attorney Charlie Hyland’s experience has garnered more than $3 million in recent settlements for our firm’s clients. Business law covers a range of matters, least of which include buying and selling businesses, non-compete agreements, partner disputes, and property tax appeals. Complications arise easily in these areas, so take advantage of our skills. Personal injury law is extends not only to auto accidents but also to premises liability and other issues like libel or slander. Whatever the case may be, we want to help you hold people accountable. From watching his father to doing it himself, Charlie knows what it’s like to own and operate a small business. He’s experienced in representing both plaintiff and defendant, so his comprehensive knowledge gets results. If you live in our around the KC Metro area, then you’re more than familiar with the fact that the area spans both states of Kansas and Missouri. It’s our pleasure to serve throughout the two states — making our service both expansive and comprehensive. From Douglas and Johnson counties to Jackson and Wyandotte counties and beyond, we are more than willing to travel to make sure your needs get met both efficiently and diligently. When you’re pressed for legal services for a personal injury or business law matter, make sure to contact our firm for results. If you want service that covers both sides of the state line, then look no further to satisfy your business law or personal injury law needs. Attorney Charlie Hyland’s has over three decades of experience. The considerable skill he’s gained for our firm boasts the comprehensive perspective you’d expect of a lawyer who’s walked in the shoes of his clients at one point or another. Don’t hesitate to reach out and schedule your consultation today.